Nigeria is a dominant economic force in sub-Saharan Africa with a strong economy as well as booming oil and agricultural sectors. However, over-dependence on the production and export of oil as well as food imports has rendered the economy vulnerable to global price fluctuations. The increasing spate of fluctuations in the world price of oil affects not only the economic sector but also agricultural production. Despite the huge earnings from oil, Nigeria remains one of the most food insecure countries in the world. 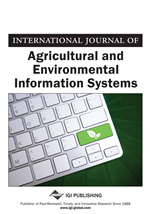 This study therefore estimates the effect of petrol or premium motor spirit (PMS) pricing on agricultural production using available time series data for 41 years (1970-2010) obtained from the Central Bank of Nigeria's Annual Statistical Reports and National Bureau of Statistic's Bulletins. The study reveals that the trend in production level of agricultural products persistently increased between 1984 and 2000, followed by a much lower growth rate between 2001 and 2002 sub-period and the increasing trend picked up again in 2003. There was an increasing trend pattern of petrol (PMS) prices except for 2009 when the price dropped from N70 to N65. Consumption of PMS was not relatively constant either. The Ordinary Least Square (OLS) results show that the quantity of agricultural output increased with the price of PMS. However, consumption of PMS had an inverse relationship with agricultural output. A retrospective look into the Nigerian economy and its development reveals that agriculture was both the mainstay of the economy and the chief foreign exchange earner. In the 1960s, agriculture accounted for well over 80 per cent of the export earnings and employment, however, about 65 percent of economic growth has declined over the years. The contribution of agriculture to the GDP was about50% in 1970 and 34% in 2003 (Daramola, 2004)). At present, agriculture accounts for 41 percent of the real sectors, while crude oil accounts for 13 percent. Although agriculture no longer serves as the leading contributor to Nigeria’s gross national product (GNP) and leading foreign exchange earner due to phenomenal growth in the petroleum sector of the economy as observed by Abayomi (1992), agriculture is still the dominant economic activity in terms of employment and linkages with the rest of the economy. While accounting for one third of the GDP, agriculture is the leading employment sector of the vast majority of the Nigerian population as it employs two third of the labour force (Agro-Ind, 2002). The emergence of the Nigerian petroleum sector in the early 1970s resulted in significant structural changes in the economy. In response to the oil boom, public expenditures grew fostering many other economic activities: infrastructural development; creation of new institutions and expansion of existing ones; and importation of all kinds of consumer goods. The appreciation in the value of the naira (Dutch disease) favored these developments, but tradable agricultural commodities did not experience similar growth (Kwanashie et al., 1998; J. O. Olusi and M. A. Olagunju, 2005; A. T. Edun, 2012). Human and animal powers provide the bulk of the energy requirement for agricultural production. Evidence of the use of petroleum products for agricultural production has been recorded. This, though small when compared with human and animal powers, is significant because it shows the use of motorized irrigation pumps and diesel powered tractors for mechanized agricultural activities (Sambo, 2005). Meanwhile, a strong and an efficient agricultural sector would enable a country to feed its growing population, generate employment, earn foreign exchange and provide raw materials for industries. The agricultural sector has a multiplier effect on any nation's socio-economic and industrial fabric because of the multifunctional nature of agriculture. Nigeria is one of the countries where prices of its domestic oil have been on the increase since the 1970s (Adenikinju, 2012). This is in spite of the fact that Nigeria, in addition to having three major refineries, also imports refined products to satisfy its domestic consumption. The crisis in the downstream segment of the Nigerian petroleum sector has therefore been a major concern to most people in Nigeria. This is because the constant fuel price increase in the country has been traced to the inefficiencies of the nation’s refineries in addition to the sabotage from bunkerers, oil spillagers and attitude of some marketers. The effect of this on the nation’s economy is constant fuel supply disruptions leading to both economic and environmental problems. Crude oil discovery has had certain impacts on the Nigeria agricultural production both positively and adversely. On the negative side, this can be considered with respect to the surrounding communities within which the oil wells are exploited. Some of these communities still suffer environmental degradation, which leads to deprivation of agricultural production which primarily is a means of livelihood. It also affects other economic and social factors. Studies have been conducted to examine the relationship between petroleum/oil and agriculture. The overall findings show that there is a strong relationship between petroleum/oil and agriculture. For example, Sekunmade (2009) estimating the effects and extent of petroleum dependency (in terms of oil exploration, production and trade) on the agricultural sector focusing on export crops using Co-integration and Error Correction Modeling (ECM) analysis, found out that the quantity of oil production had an inverse relationship with the output of agricultural export crops. Akpan (2009) analyzing the dynamic relationship between oil production and food insecurity in Nigeria, found inverse relationship between oil production and major food crops produced. However, Tara (2010) reported bidirectional short‐run causality between oil consumption and economic growth, bidirectional long‐run causality between economic growth and oil consumption.